Three months after his last trip to North Korea, Secretary of State Mike Pompeo is heading back to Pyongyang to meet Kim Jong Un and other top officials as the Trump administration seeks some tangible progress finally on its pursuit of the regime’s denuclearization. With talks largely deadlocked, at the heart of this round of negotiations is a debate over what the U.S. should demand from North Korea and what it is willing to give in exchange. But Pompeo is downplaying expectations for the trip, even with the pressure on from allies and adversaries in the region who want to begin easing sanctions on North Korea and from critics back home who point to the regime’s lack of verifiable, irreversible steps to dismantle its nuclear arsenal. 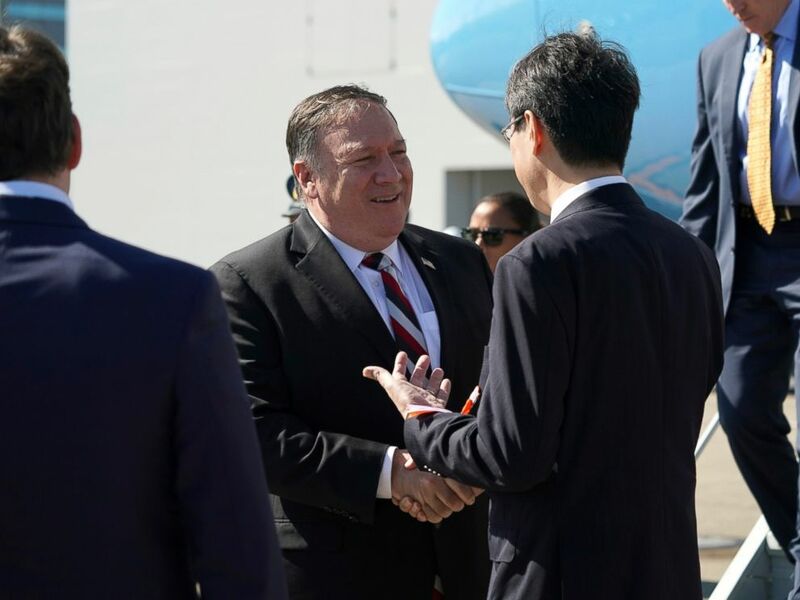 “The mission is to make sure that we understand what each side is truly trying to achieve,” Pompeo said Friday en route to Japan, his first stop on his swing through East Asia. U.S. Secretary of State Mike Pompeo, center, is welcomed by officials upon his arrival at Haneda Airport in Tokyo Saturday, Oct. 6, 2018. Pompeo is heading into his eighth encounter with the North Korean side — and his fourth meeting since the Singapore summit. But there is growing doubt about whether President Donald Trump’s diplomatic push can succeed, if the two sides still don’t have an understanding of what the other is trying to achieve or how. Instead, the top U.S. diplomat has been tasked by his boss with preparing for a second summit with Kim Jong Un, which the North Koreans are pushing for, but that analysts warn will hurt U.S. goals. Pompeo has denied there’s any daylight between him and Trump. In this Oct. 2, 2018 photo, Secretary of State Mike Pompeo meets Pakistani Foreign Minister Makhdoom Shah Mahmood Qureshi at the State Department in Washington. While in Japan, Pompeo will meet with Prime Minister Shinzo Abe and Foreign Minister Taro Kono, before he heads to North Korea for just hours on Sunday. He won’t stay overnight, according to State Department spokesperson Heather Nauert, but she said this week he would meet with Kim. After North Korea, Pompeo travels to South Korea to meet President Moon Jae-in and Foreign Minister Kang Kyung-wha — and onward to China to meet with senior officials amid growing tensions with the Chinese, encapsulated by a fiery speech by Vice President Mike Pence Thursday. What path forward discussions take is the critical question that many analysts expect to be answered this time. The U.S. had been pressuring North Korea to provide an inventory of its nuclear arsenal and facilities. North Korea has dismissed that demand — calling it a “fiction” in a commentary after Pompeo’s last visit in July — and the U.S. insistence that North Korea’s denuclearization come first, leaving talks at a standstill. But that could end if the U.S. agrees to sign a declaration to officially end the Korean War, a major demand on the North Korean side and something Pompeo has been open to. 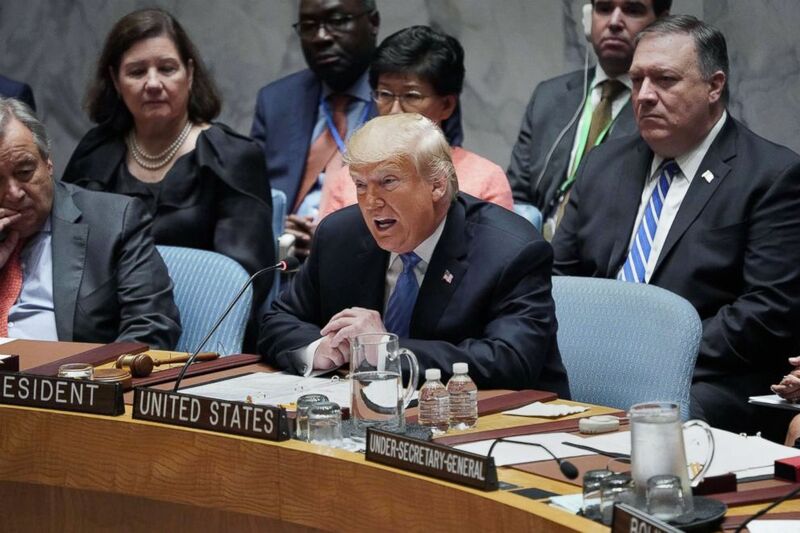 President Donald Trump speaks during the United Nations Security Council briefing on counter-proliferation at the United Nations in New York on the second day of the UN General Assembly, Sept. 26, 2018. The larger question now is what the U.S. demands in return for it. South Korea is urging the U.S. to make its next demand the dismantlement of North Korea’s main nuclear facility, Yongbyon, instead of declaring its inventory, which could lead to squabbling without trust-building actions, according to Kang. “If you do see concrete action, that assures the U.S., the rest of the world, that definitely concrete steps are being taken to eliminate very important parts of their nuclear program, then that’s a definite step forward and builds the trust,” Kang told The Washington Post in an interview last week. That idea has the support of some analysts who think the U.S. needs to contain the North Korea nuclear threat and defuse tensions overall. But several experts told ABC News that North Korea hadn’t done enough yet to earn an end-of-war declaration, let alone a second Trump-Kim summit. The steps they’ve taken so far — beginning to dismantle a key missile engine test site and blowing up the tunnels to a nuclear site — have been without international inspectors present to verify and could be reversed. “None of these have addressed the core task on denuclearization, which is declaration, verification and timeline,” said Victor Cha, the Korea chair at CSIS who was at one point Trump’s leading candidate for U.S. ambassador to South Korea. 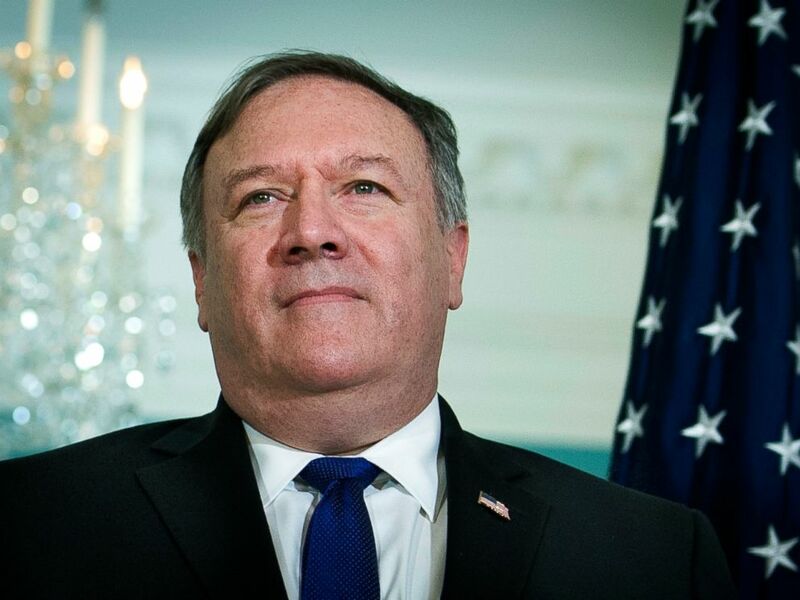 Either way, some analysts are skeptical that Pompeo will be able to accomplish that much, given his short time on the ground. North Korea’s leader Kim Jong Un talks to South Korean President Moon Jae-in during a visit to Samjiyon guesthouse near Mount Paektu in Samjiyon in this picture taken Sept. 20, 2018, and released by Korean Central News Agency (KCNA) via KNS. “It is unlikely he will get into the necessary negotiating to make progress on reducing the wide chasm between the U.S.-North Korea policy differences,” said Bruce Klinger, former CIA Korea deputy mission chief and now a senior fellow at the Heritage Foundation. Pompeo himself seemed to hope mostly to figure out logistics for a second summit for Trump and Kim, in particular “options for both location and timing,” he said Friday. But even on that, he said, “I doubt we’ll get it nailed” down on this trip. Still, given the president’s new-found expression for Kim — claiming during the U.N. General Assembly that they “fell in love” with the exchange of letters since Singapore — it seems nothing will get in the way of Trump and Kim’s desire to meet again. “President Trump wants the second meeting, and I think he can almost spin anything coming out of North Korea to make the second summit happen anyway,” said Terry. 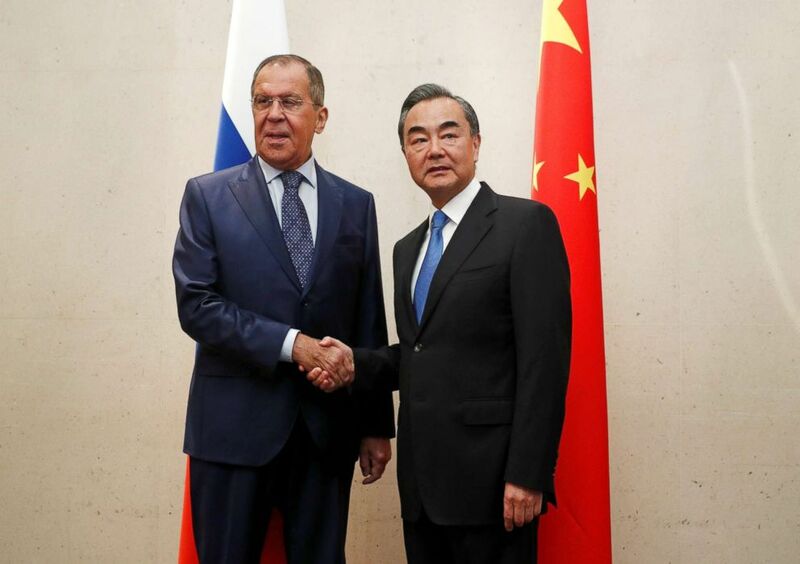 Russia’s Foreign Minister Sergei Lavrov meets with China’s Foreign Minister Wang Yi on the sidelines of the ASEAN Foreign Ministers’ Meeting in Singapore, Aug. 2, 2018. Beyond pressure from the president, Pompeo and his team are also facing growing pressure from China, Russia and even South Korea to ease sanctions on North Korea. The regime’s largest trading partners, China and Russia, have been working together to argue for the removal of certain U.N. sanctions because North Korea has not tested a ballistic missile or nuclear device since last year. That coordination was clear on the world stage, when both countries’ foreign ministers made statements at the Security Council. 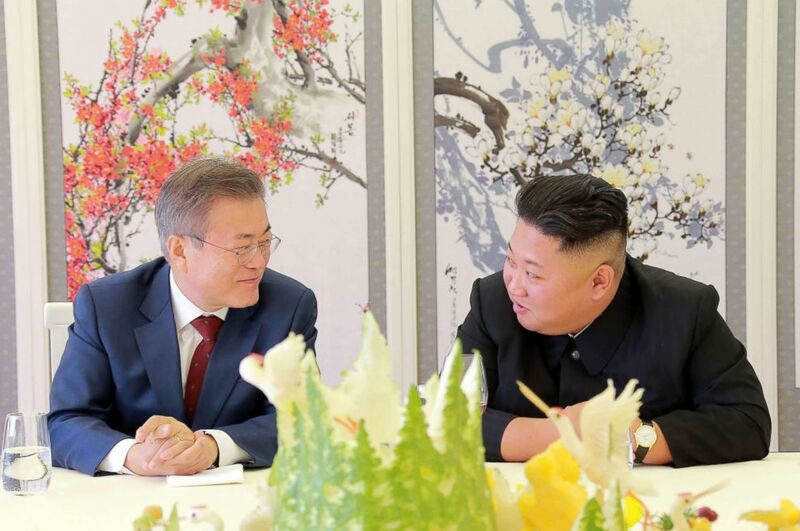 But even U.S. ally South Korea is looking for exemptions on sanctions after Moon and Kim announced a list of inter-Korean projects to work on together when they met in September, including reopening roads and railways and creating new economic zones. “South Korea seems overly eager to improve relations and offer benefits to North Korea without requiring commensurate progress in reducing the North Korean security threat,” said Klinger. Both the U.S. and South Korea have insisted they are in lockstep on North Korea.